As I promised almost exactly one year ago when I announced the Clever Training partnership, I’d only make a full-on post about something deal-related when it was a massive deal. Thus this will be only the second such post since then (the first was the huge Garmin sale last spring). This deal represents a pretty huge savings across Suunto’s latest line of products that came out this past spring, the Suunto Ambit 2/2s. Those products have seen nice incremental firmware updates (and feature adds) since then, most recently late last month with a firmware update to both units. I’ve broken this post into two pieces. The first is specifics about the deal itself (pricing/etc…). 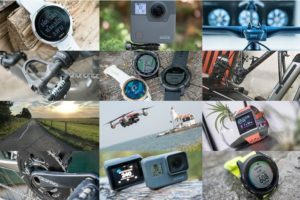 And the second is my comparative thoughts between some of the units out there that the Suunto Ambit 2/2s are competing with – hopefully enabling you to make a decision on whether any of these watches are appropriate for your needs. So basically, the HR strap is $35 more on any of the bundles (saving you $15 more), and you can get any color you’d like that they manufacture. Make sense? Good. Shipping is free to anywhere within the US for these since it’s over $75. Note however that because it’s considered a ‘deep-discount’ deal, the usual DCR Clever Training coupon code of DCR10BTF doesn’t apply here. However, if you pickup accessories, then it would apply to those accessories. As usual, you’ve got 60 days to return the product if something’s not making you happy. The deal runs through October 9th at 11:59PM US Eastern, after that – no more deal. Finally, as is probably obvious by now – purchasing through Clever Training using the link above helps support the site (if you go directly to the site without that link I don’t get credit unfortunately – kinda like a tree falling in the forest thing). Unlike the past Garmin deal, this deal is exclusive only to Clever Training. Obviously, I greatly appreciate your support of the site through Clever Training. Oh, and here’s the new white edition below. It was announced last week at Interbike. It’s only available as the Ambit 2s, and not the full Ambit 2-non-s model. Probably the first time anyone’s actually seen a non-PR shot. You can see it’s more of a white band with a silver bezel, than pure snow-white. Obviously, anytime there are huge deals like this (such as this past spring), folks are curious about where I think things stand. Thus, it’s probably good to point out that the value of a unit is ultimately tied to a combination of price and features, and more importantly – what other products on the market are doing at that same price point. It’s also important to remember that very little in the technology world is static. And the Ambit 2 is a great example of that. 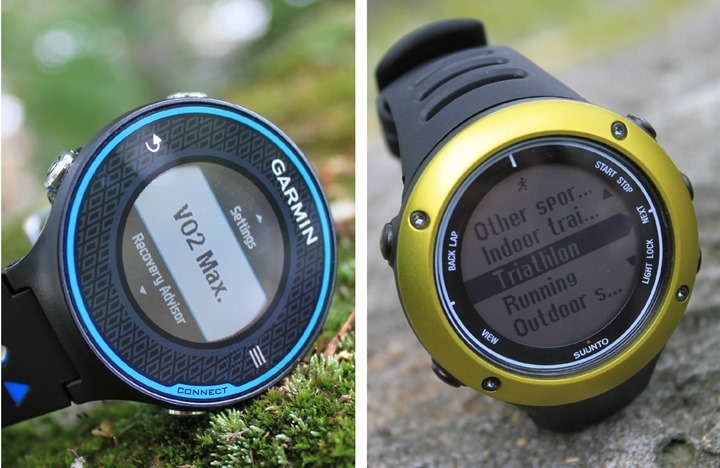 The changes they’ve made since release have pushed it deeper and deeper into the category of being truly competitive with the Garmin FR910XT at certain price points, and for certain audiences. So let’s dive into what I believe are the three most common comparisons folks will be looking at. Let’s start here. 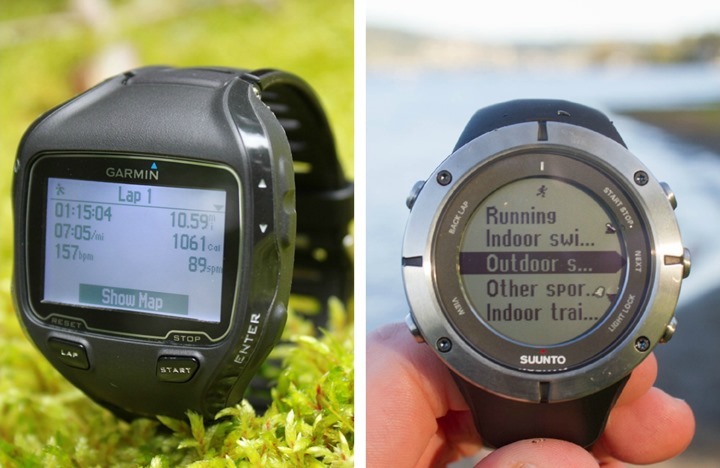 In this case, the Garmin FR910XT and Suunto Ambit 2/2s all have the core fundamentals of swimming (indoors/outdoors), cycling (indoors/outdoors), and running (indoors/outdoors). And for most athletes, either unit will work great in triathlon. It’s the little things that we see differences in. For example, the 910XT has more information/functions for power meter users, while the Ambit has more functionality for anyone needing navigation support (i.e. folks training in the middle of nowhere). The Ambit 2 can go much longer on a full charge than the FR910XT, though at a cost of data update frequency. The Ambit’s can be used as a day to day watch, the FR910XT not so much. The recent Ambit 2 change to allow a 5-second recording mode helps the Ambit 2s specifically because it lengthens the time and makes it viable for some Ironman athletes (sub-12hrs). Many of the nits that I had around the Ambit 2 upon release have largely been solved in their August firmware update. In fact, about the only thing left that still annoys me is the export function on their site is lacking compared to what most companies are doing these days (thus impacting 3rd party compatibility). The good news is that’s something that Suunto can address without even touching the physical unit’s firmware. As I said above, you can’t really go wrong with either unit, and you’re going to get happy people on both sides of the aisle here. Lastly, to round things up – you ask about the TomTom Multisport unit. 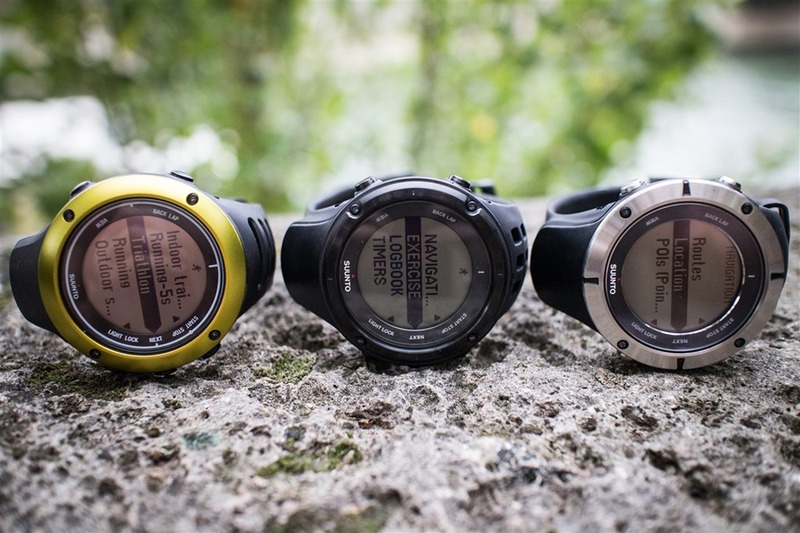 Simply put: the Ambit 2s has a truckload of features over the TomTom unit. But TomTom has noted that going after the more competitive side of the triathlon market wasn’t really their goal with the Multisport edition. Comparing the newly announced Garmin FR220/FR620 to the Ambits is a bit trickier because unlike the FR220/620 units, the Ambits aren’t purely running watches – they were designed to do so much more (hiking/triathlon/navigation/etc..). Whereas the FR220/FR620 are runner-focused watches designed for only one thing: running. Looking at the standout areas, the new Forerunners have workout and interval modes that are more expansive than the Ambits, while the Ambits have navigation that the Forerunners simply don’t have. The new Forerunners have Live Tracking and phone uploading (with the 620 having WiFi too), whereas the Ambits have longer battery life (in some cases, five times longer). Out of the gate, the new Forerunners won’t have any cycling mode at all, whereas the Ambits can bike and swim all day long – so if you’re primarily a runner that strays into cycling, that’s something to keep in mind. The FR620 has the running dynamics metrics, while the Ambit 2 has a temperature sensor. Comparing prices, you’re basically looking at ~$250 for the FR220, and $299 for the Ambit 2s. And for the FR620, $399 vs a range of $299-$399+ (depending on whether you go Ambit 2s vs full Ambit 2). Technically speaking the FR620 would be more aligned to the Ambit 2s, since both lack barometric altimeters. Ultimately, I’d suggest that it depends on what you’re after. If you’re after a full-featured watch, then the Ambit 2/2s is a better bet. If you’re after a slimmer watch, then no doubt, the FR220/620 are better bets. Again, it’s a complex question that varies heavily on what you specifically value the most. 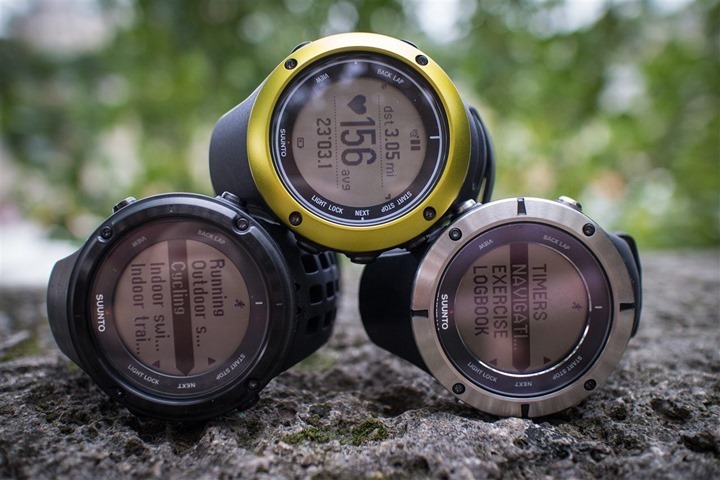 Finally, for those who might wonder about the Polar RC3, Timex Run Trainer or TomTom Runner – all three of those units are more appropriately mapped to the $200 price point, rather than the $300 price point we’re talking about here. As such, if you’re spending $100 more, you’re getting a boatload more features than you do in the $200 price points. For hiker/mountain folks, a lot of you will be comparing the Garmin Fenix vs the Ambit 2. I often say that the Fenix is better suited towards hikers, whereas the Ambit 2 is better targeted more towards the athletic side of things. Meaning that there are more features in the Fenix that appeal to a wider range of folks in the hiking segment than in the running segment, whereas the Ambit 2 aims to satisfy both crowds. In this case I’m really talking more at the Ambit 2 than the Ambit 2s, since the 2s doesn’t have a barometric altimeter (rather, it’s GPS based). At a high level it’s very similar to triathlon. Both are what are known as ‘ABC’ units (Altimeter/Barometer/Compass), and both track your GPS positions. Both have approximately the same maximum battery life of 55 hours of GPS-on mode (both do so with a hit on accuracy). Both units will guide you between points using a magnetic compass, and both units can save points along the way. The Fenix and Ambit 2 both have barometric altimeters, while again, the Ambit 2s does not. The recent updates for the Ambit 2 around Track Back vs Find Back (implementing a proper Track Back that was missing at launch) helps move it closer to the Fenix. Ultimately, both diverge a bit in different ways though. The Fenix has customization in data fields that appeal to folks on the sea and in the air, whereas the Ambit 2 has features that obviously appeal to triathletes and running focused folks (that the Fenix clearly lacks). Neither has workout/interval features worth a hoot. Which category you fall in will probably help you decide which unit is most appropriate. 1) How much battery life do you need? Technically the Ambit 2s has 25 hours of battery life (the Ambit 2 has 50+), but that’s in every 60-second recording mode, so I don’t find it great for most sports (though fine for hiking). They recently added a new 5-second mode, which in my testing is quite fine for most running and cycling (power meters gets tricky though). In the 5-second recording mode, you get 12 hours of active GPS-on battery life. The standard 1-second recording mode is 8 hours of battery life. If you need more than 12 hours of battery life, go with the Ambit 2 over the Ambit 2s. The new 5-second recording mode really helps a lot here, but it may still be too short for some folks doing an Ironman. You can try and address that a bit by lowering the recording rate further on certain segments with the 2s, but that’s kinda a crapshoot. 2) Do you need a barometric altimeter during the activity? If so, then the Ambit 2 is the way to go over the 2s. The Ambit 2s will use data from the GPS-based altimeter, which in my testing is impressively good. Whereas the full Ambit 2 has a barometric altimeter in it, which can give more accurate elevation data. For many folks, once back home and uploaded to various online sites, you’re going to get elevation correction anyway – so it really comes down to whether you need it during the activity itself. It really is just those two items as the big-ticket differences. You can see the charts above for all the minor differences between them (but there’s very few actually). If you’re still having trouble I’ve got two ways I can help you make a choice – whether that be to buy or not to buy, or trying to figure out which model to buy. First is the Product Comparison Tool. You can mix and match any units you’d like with it and see how they rank up. Quick and easy. Second is to simply drop a comment in the notes below. I’ll try and help out as best as possible. For technical feature questions, the reviews (and those comments) are best, but for comparisons, down below is probably the best bet. Thanks for the support, I appreciate it! Thanx! Just ordered my new Suunto Ambit 2. Now I have to try to sell my Ambit 1 :-). Anyone? I’m not interested in a lot of features, mostly just want time and distance. However, I would like 15 hours battery life in training mode. What are my best options? If you just want time and distance while running you may want to look at the TomTom Runner. I just ran a 7+ hour 50k and had well over 50% battery life left (GPS on, HR off, no alerts). Hard to tell how accurate the little meter is on the watch but it is promising. If that drainage rate holds true it would hit close to 15 hours on those settings. For whatever shortfalls it currently has (no interval mode or race mode yet, some other minor items) it is dead on accurate for GPS, both in terms of satellite acquisition and retention and accuracy while running. 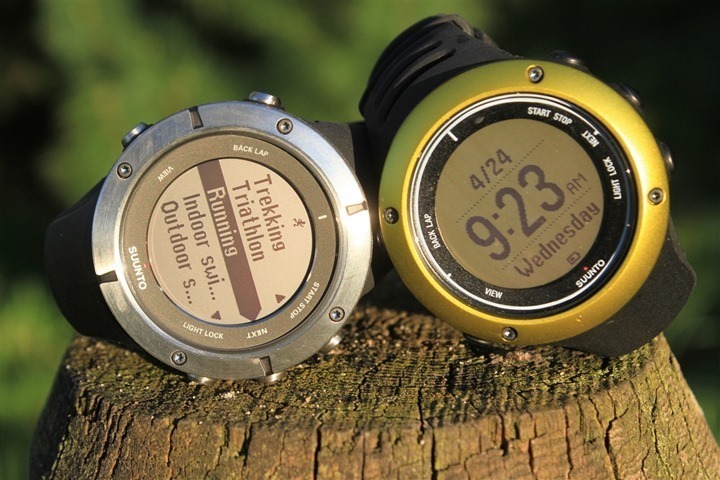 Within the Suunto line, you’d realistically have to go with the full Ambit 2 instead of the 2s. The TomTom unit only claims 15 hours, so it’s hard to know whether or not it’d stay constant (I suspect not) and thus probably would eventually fall-short there. This is a nice offer and thanks for the exhaustive review. Is sapphire glas really needed? The black Suunto Ambit 2 just appeals more to me, but I`m unsure to risk scratched glas in 400$+ watch. Any suggestions on that? Honestly, no, I don’t think so (and personally, I wouldn’t spend the extra). Hi, I’m fr Singapore and am interested in the ambit 2s. Do u ship to SINGAPORE and wt’s the shipping cost? If yes, how do I make payment? Suunto specific international shipping policies will apply for this offer. Please visit the Clever Training/Suunto Ambit sale page for more details. Hello from a fellow S’porean. I bought an Ambit 2 Sapphire w/o HRM through Clever Training (after reading DCrainmaker’s v informative blog) to a shipping company (I use comgateway). They don’t do direct deliveries to S’pore. Wow, this is a great price. Even with international shipping and tax it’s still a fair bit cheaper than buying here. I don’t know how warranty would work though. I considered the Suunto earlier this year, but went with a 310XT mainly because of battery life. It’s nice that Suunto added a once per 5 seconds recording mode, but 12 hours is still way less than the 20 I’m getting with the 310XT. The Ambit 2 Sapphire is listed at $400 even (not $450 as you state). I think this must be a mistake on CT’s part, as the Sapphire + HRM is at $485. Regardless, I picked up the “plain” version for a great price at $400, I’d been an the fence for a long time but this was too good to pass up. Thanks for the support! And yup, another reader noted the discrepancy. I’m working with them to get it corrected. My Ambit2 arrived last week (on Wednesday in fact, ordered on Monday) and CT honored the $400 misprint. I’ve been using it for the past week for daily runs, walks, and mountain hiking and am really enjoying it. I do have a couple questions I hope you can help with, that I haven’t seen answer to (and I’ve read the entire review more than once, the manual twice, all the FAQ, etc). 1. Weight. Do you know if this is used for the calculations for calories? At the moment my real training is exclusively doing trail running and there’s a lot of elevation change involved. Is the accuracy of my weight important for any of the fitness metrics (I imagine things like PTE rely on the HRM and other measured values which are indirectly affected by weight, but since I don’t know the algorithms, maybe it’s used elsewhere)? But I do other things as well, so this would be important to change as my weight is quite different for a minimal trail run than to a winter snowshoeing trip loaded down with gear. Does it actually matter? 2. Changes in weight. I suppose I should test this on my own, but perhaps you know. It seems like the Maximum Heart Rate setting you define affects all moves that you have saved. I’ve read conflicting thoughts about max HR applying to only one sport (i.e. running max HR is different from cycling), but really to the point, if I update my weight before a particular activity does it affect just the stats from that point in time until the next change in weight, or does it apply globally to all saved moves? I would hope it’s just a point-in-time change, but the behavior of the max HR setting makes me question this… And as mentioned, minimalist trail running vs snowshoeing loaded with gear and a pack is quite different and it would be a shame if I had to pick one compromise value. 3. Scales. Hand in hand with the previous questions, I’m looking for a scale to actually know my weight. You seem to like the Withings model, but ideally I’d like something to integrate with Movescount. It doesn’t seem like any such things exist though. And, depending on the answer to 1 and 2, it might be a moot point anyway if it doesn’t aid the calculation of other metrics, or apply to a range of dates/time. No point in a scale if it doesn’t tell me anything useful (physical weight being secondary to actual fitness). Thanks Jonathan for the support, I appreciate it. I’ll need to check with the team on this one, as my understanding is that it’s used, but I need to validate it’s not overwritten by the HR side of the equation. There’s nothing here that integrates with Movescount unforteunately. It can be a good thing in certain situations, but not in the greater sense that I want to be able to control it, not have it controlled. In general, rapid switchbacks are typically better on footpod than GPS, but if the terrain is really rocky then you tend to get just as much bad variation there. In my footpod testing way back when when doing the FR60 review, it was fascinating because I did a lot of it in the snow during interval workouts, and was blown away with how accurate it was in some runs (exactly the same as GPS). Some of that was also just dumb-luck. any idea how long the new 5-sec interval on the Ambit-2 will last? I see where the new 5-sec on the Ambit 2S is up to 12 hours. On the Ambit 2 it’s listed as 24hrs in 5s mode. Where is possible to find some real pics (not PR pics) of Ambit2 S White? I’m waiting on a unit. I only had three pics that I got the Clever Training guys to take with their personal cameras during a meeting with Suunto (you see one of them above, the rest are the same angles). But, the above isn’t a PR pic. Your table comparisons needs to be corrected. The Ambit2 does load 7 days satellite information via computer every time you sync it with Movescount and its satellite acquisition time is significantly better than the Fenix (and I assume the 910XT). Interesting, I hadn’t seen or heard that before for them. After quickly double-checking, I’ve updated the tables for those two units to yes. Thanks! When you synchrinize the Ambit, Moveslink updates the satellite orbit data on your Ambit so the watch is able to find the gps fix also indoor at home!!! I had a Fenix and it is not able to find the gps never near the window! Fantastic job Ray! I think I will have to stick with my 910xt until Suunto changes their connectivity you mentioned above. For Suunto to emphasize they are the watch for athletes and adventurers, then they really need upload capabilities that athletes and adventurers are likely to use….such as mobile phone uploads to third party sites, or at least activity export via a On the Go cable and tablet/phone. When I’m done with my adventure or workout, I want to be get in my car, connect my watch, upload the data to Strava (or Garmin, training peaks etc.) and be done with it. 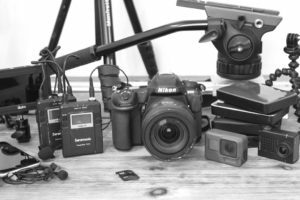 I’ve had several Suunto products in the past and really got my money’s worth out them…and would go back in a second if they offered better upload ability. Almost picked up an Ambit 2 a couple weeks ago. Very glad I didn’t. Is this purely a competitive move with the new 620 coming out or are they likely to be coming out with a new model soon? Can’t imagine that since the Ambit 2 is pretty new. Also, how about adding size/dimension information to the charts? In particular as I look at the picture of the Ambit and the 620, I’m wondering about screen size and physical dimensions. As a possible every day watch, the 620 is pretty appealing at nearly half the weight. Definitely don’t expect an Ambit 3 anytime soon. It’s mostly a competitive move aimed at undercutting sales of other units (i.e. 620/220). I’d like to add more info to the chart. Right now I’m working on getting release dates/availability dates in there. Dimensions and weights I could do, though they can be tricky to represent for things like watches (because of the bands/etc..). But, I like the idea. I ordered the Suunto Ambit2 Sapphire over the weekend using the 10% DC Rainmaker discount. Came here today and found the watch is now massively discounted. A quick call to Clever Training and they refunded me the difference. They now have a customer for life. Thanks for sharing this, been putting off the purchase but hard to pass up on this now. Great post and thanks for the deal. I am in the market for a watch upgrade and re-looked at the Ambit and your updated comparison. While it does have some features that are interesting, such as full triathlon capability, long battery life, even some navigation for if I do that ultra I’m thinking of…Bottom Line: No Virtual Partner, No custom workouts…. no sale. Oh well. thanks tho’. Ambit2 black or silver/black? What do you recommend? Is the full black model easily scratched ? Go with the full black, it’s very stealth looking in my opinion. I returned a silver one, the black looks much better to me. I have had it a couple of months now and no scratches, it’s well built. I don’t really have any scratches on my black one – even my older Ambit1 is fine despite living in the bottom of my backpack half the time travelling around. Do you know if the Garmin 620 will have a “fused speed” type function, or will it use the internal accelerometer just for treadmill stuff? Just use it for internal treadmill. Though, things could certainly change prior to release. There must be something in the Suunto being able to be realistically pitched against the leading sector specific watches feature-wise with the added attraction of this offer on price to bring it in line with other units. To a generalist it has the added advantage of being able to be worn as an everyday watch so that you always have your sports watch with you. I am in the market for replacing my old 305 and only wanted to buy one watch, particularly so for going on holiday. I bow to those more technically literate (so everyone else who contributes comments to Ray’s prolific output) but am not as concerned about some of the detail. Suunto just seems a decent and robust all round watch to me from the review and pictures. If I want one watch for all sports/leisure/holidays and everyday use then with this offer on price what challenges it? I’d agree with a few others below. As an everyday watch, the FR220/620 is a bit slimmer and probably more appropriate. However, if you’re looking for the ‘can do everything’ watch, then the Ambit 2/2s is definitely a better fit since it can go from general time-keeping duties to hiking/swimming/cycling/running. Do either the Ambit 2 or Fenix allow charging from a battery pack while still recording data? (20hr+ Ultras) My 310xt has recorded up to 47 hrs on a 4x2500mah pack but the display switches to “charging” when powered (and the ant transfer takes an age). It’s a pain having to decouple to read information. My older 305 could still be read while powered externally. So if a charge is connected to either Ambit or Garmin do they switch to “charging” or “connected” mode, making the display / recording stop? Which would you recommend for long – long hikes / runs? Just tested out a secondary battery park with the Ambit – it keeps on recording just fine (and I’ve previously tested the Fenix without issue as well with a battery pack). Do keep in mind that the connector on the Ambit isn’t terribly great when it comes to movement though, so you may lose connection while attempting to charge. The Fenix connector is much better in this regard (locks in place). That said, depending on which model you’re talking about – you can still get 24hrs of recording time with 5s recording on the Ambit 2, which is very solid. Earlier today I updated the Ambit2 In-Depth Review with my findings on the 5s recording time. May be worthwhile reading. Any chance you can do this with the 620 to extend the charge? My understanding is you can’t do it with the 310 or 910. Do you know if this is a hardware limitation or just a firmware limitation? You can do it with both the FR310XT/910XT (though, like the Ambit, the charging clip doesn’t hold well in bouncy conditions). I haven’t yet tried it on the FR220/620, but will. @Peter: as an every-day watch, I think the new Garmins (620, 220) have the Ambits beat. They are noticeably thinner and lighter, and don’t have an antenna-stub sticking out of their bottom edge. But after that, in the “all around” category, I’d say Suunto Ambits come-out on top. I’d have to agree with Gil. If it wasn’t for the size, I’d go with the Ambit. After years of using the 310/910, I’m going with the 620 so I can use it as an every day watch. If your main activity is running and you don’t need the navigation or barometric altitude, the 620 seems like a better bet. I agree. 220/620 looks like it would make a much better day to day watch. But, I’m now addicted to text/call/email alerts on my Pebble watch…..when will we see that integrated into a sports watch? I bet by next year….. 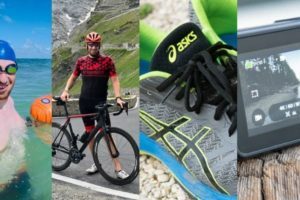 Does the Ambit 2s record transition times in multisport/triathlon mode? I recall your previous review said it did not. Has that changed with updates? It doesn’t (just tried it). At least not without creating fake sports in between. Wow, this is an impressive comparison chart(s!). I have only recently discovered your blog, so you might have answered my question elsewhere previously. If so, please do point me there instead of answering again. My question is that I’m trying to decide whether to buy a watch at all, or whether I should buy an iphone (I’ve been on a Windows phone prior to this, but they don’t have the running apps I want) and just use aps for things I want (pace, time, elevation, splits – basic stuff, I think). Is there a reason that running/activity watches still win over just using our phones for everything? Thanks! I think in most cases for triathletes it’s that phones don’t do well with water. And I mean that not just in the context of underwater, but in the day to day pounding that comes with taking a phone along for a 100+ ride in a downpour, or on a 20+ mile run week in and week out. Which isn’t to say that you can’t do that – you most certainly can. It’s just that less people want to do that. If you’re looking to dip your toe in the water, consider a cheaper unit like some of the ~$100 ones. The product comparison calculator has a budget option (dropdown) that will cover all the basics you mentioned without breaking the bank. Enjoy! The GPS reception in narrow woods is usually pretty bad. Some of the apps try to smooth that however. Bought the Suunto Ambit2 through Backcountry.com last week for two reasons. 1: Their unconditional return policy, (like LLBean), and 2: I got 12% cash back. Now I see I can get you credit, and get the Sapphire version for only a few dollars more, but the return policy is not as good. I’d love to give you some credit, since I used your review a lot in researching before I bought, but it’s lending to my piece of mind to have the Backcountry return policy. Is Sapphire a good idea? My Polar RCX5 is a little scratched up, but I’m pretty sure that’s plastic or acrylic, not mineral crystal. If you think it’s a good idea, I may consider returning my Ambit2 to backcountry and getting the Sapphire… not sure yet though. I haven’t seen scratching on either my non-Sapphire or Sapphire Ambit2 units, despite lots of scratch-potential situations (I generally don’t treat them well). It’s a tough call. i’m climber, form Iran. 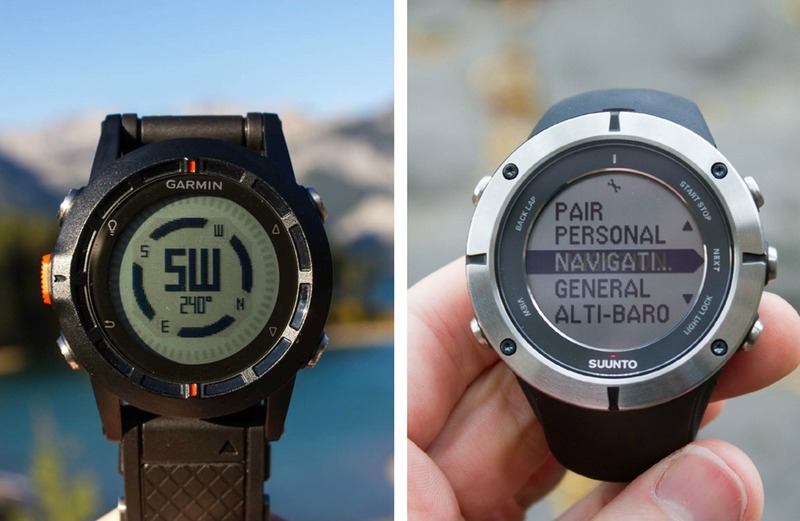 I can’t decide between the suunto ambit 2 and garmin fenix and polar RC3 . I’d suggest narrowing it down to the Ambit2 and Fenix, for climbing, the Polar RC3 doesn’t have a barometric altimeter or any of the other ABC functions. Hu, Ray, thanks a lot for this information and compapring. Did I get it right, that i can’t create custom workouts with Suunto 2s? May be on web site? That’s correct unfortunately – neither on the unit or the site. Thanks. May be it has standart fartlek and intervals workouts? No, it has a very basic interval workout function on the unit (very very basic). I talk about it a little more in my review to get a better idea of it. I’m a little disappointed on the current custom apps available on the “suunto market” be downloaded on the watches so I will have to design mine and see the limits on this side that i think is very promising, If i manage to do/find something worth sharing i will tell you 🙂 since i don’t recall you have really look on this direction in previous post. Do you think this is the way most company will go in the future or is it only suunto? but overall i’m happy with my suunto, rencent though, not yet fully tested for the navigation part! Any idea to get this deal in Europe? here Suunto ambit 2 Sapphire it almost cost 500€ (678$) so it’s kind of crazy this difference. I need to clarify one thing regarding support of Firstbeat Athlete software by Suunto Ambit 2. You wrote that it is not supported, however on Firstbeat website it is written that their training software supports Ambit 2 (through Suunto’s social website movescount). Here is the proof link to firstbeat.com. Any experience? Does it work flawlessly? That’s great to hear they’ve updated it there, it didn’t used to. I’ve updated the table. Ray, I’m sorry if this is a repeat question. 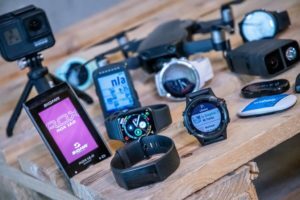 How will these watches do with Garmin Connect? Am I going to have to use a whole other software package to see all my training. I’ve been using Garmin Connect for about 4 years now. ConnectStats has supplemented what Garmin Connect can’t provide but it uses the Garmin back end. Unfortunately, they don’t very well. Garmin Connect an upload the GPX file just fine, but it won’t include things like lap information or HR data (just tried it). Garmin Connect can’t upload the .FIT file for the .XLXS file. Ideally, Suunto would allow you to spit out a proper .FIT file, and then it’d work with any site on the planet. Hi again, Ray. Almost ready to order 2s and have only one question: does it have any way to sync suunto with Runkeeper/endomondo/strava and training peaks? Have registered on suunto web service and can’t see there any gpx import/export possibilities. Thanks a lot. No direct sync. You can export as KML/GPX/XLSX from the menu of a given activity. Those services all except one or more of those files types, however, some of them doesn’t correctly process the way Movescount exports out lap information. Does it work well with Strava? Another question, since it works with ANT+ do you recommed buyin the basic unit and get a Garmin ANT+ HRM? Suunto devices: It is fairly simple to transfer data from Movescount.com to Strava.com. 1. After you sync your watch go to “My Moves” in Movescount. 2. Click on the icon showing the move in the calendar on the right so it loads that move on the left panel. 3. Click “Export Move” just above the first graph and select the “gpx” format. Save it to your desktop and then go to Strava and “Upload Activity”, orange button in the upper right. HR data if available will be accepted as well. I’m still debating between the 2S and the Garmin FR 220. It’s hard to tell from pictures but it looks like the Suunto is sturdier?? 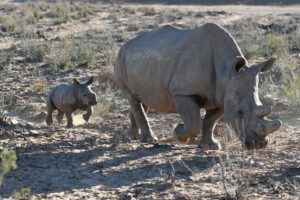 Also hard to tell size difference. How much smaller is the 220? I really like the feature to send workouts to the 220. Is it possible that Suunto will add this feature since apps can already be sent to the 2S? I’d agree that the Ambit2 is more hardened than the FR220. Of course, it’s a fair bit heavier/larger too – so that’s something to take into account since it’s that bulk that makes it more durable. Suunto could definitely add workout features to the Ambits in the future, and I hope they do – as that’s one of the major differentiators. Very interesting deal actually for those living in the US. For those living in Europe, custom charges apply and make the deal less appealing. Unfortunately. Is there any way to also have an opportunity to get this deal for wour European followers? Unfortunately, there’s not really any way around the customs charges for most device companies and situations. It’s just the reality of the way most countries in the EU handle imports (remember, I live here too and suffer with the same import taxes). Hi Ray, great reviews and very informative articles! I was planning to replace my RCX5 with an Ambit2; and this bargain seems to be the perfect time 🙂 I’d pair it with the Viiiiva HR strap (so I can use it with my phone) and would take the Garmin footpod (less expensive) too: wise choice? or should I stick with Suunto HR strap and pod? I just replaced my RCX5 with the Ambit2. It’s SO nice not having to worry about the GPS pod, and Ambit2 finds a signal SO much faster. It’s really wonderful. My only dislike so far is the strap. My wrist size is right between two notches on the strap, and the rubber is so hard, I really can’t go down to the smaller one very often. I’m looking into designing something so I can use a nylon NATO strap though, so that will be better. I paired it with the Garmin HR belt. It’s very comfortable, but I DO have occasional drops in signal when I first start exercising. Those go away after a few minutes, and I’m not sure what they’re from. The Garmin HR transmitter doesn’t seem to be anywhere near as good quality as my Polar one, interestingly enough. Also note, that ANT+ does NOT transmit in water, so you can’t get HR while swimming, unlike the RCX5. I’d definitely go with the Viiiiva strap over the Suunto strap. For one, it’s ANT+, but also it’s BLE, so it’s really two straps in one. Whereas the Suunto strap is just Suunto-ANT, so it’s not really useful at all down the line with anything else. Choosing between black, sliver and sapphire model. Which one will you recommend?? In general I’d go with Black or Silver. I personally don’t find the extra for Sapphire worth it, but to each their own. thanks for the detail reviews as always! i was really hoping to get the 620 (my wrist is too narrow for something like the ambit)..but its not compatible with any bike cadence sensor? in your chart it says ‘not initially’ for 620…did they mention that it’ll be down the road? on the 620 spec website it just says ‘no’ support for cadence sensor. I mostly run and bike so really wanted one watch that can cover both basis. THANKS again for the info! Nice deal Ray. Well done! I bought my Ambit 2 recently, so sadly missed out on the deal (such is life). Unfortunately, I would strongly advise readers to NOT buy the Ambit 2/2S. I’m extremely disappointed with the back-end of this product. The device itself is not bad, however..
*It is not compatible with TrainingPeaks: TP says in their forums that Suunto is not being cooperative, and given that TP is compatible with almost every other device, it seems the problem really is with Suunto. *Suunto’s Movescount site is grossly inadequate for even my simple needs. Pretty design, but very limited ability to view and compare various data. I feel Suunto staff don’t actually understand their own target customers. *Exporting data is cumbersome and loses many data points in the process, as is well-documented on various forums. Data can be exported, but only one workout at a time, and not all data will be exported in any one file format. You have to do multiple exports then merge data, with data lost and/or conflicting. No FIT file format export. –Given these facts, IMHO having all this wonderful data collected by the Ambit2/2s becomes almost useless without any ability to meaningfully view, compare and analyze. Suunto, I hope you’re listening. Ray and readers, please beware. However, I’m still sticking with the Ambit 2, and here’s why. 1. The device itself offers much more of what I want and need. I am becoming more of a trail and mountain runner, so many of the on-watch features, especially navigation, appeal to me. Even when I’m not heading to the wilderness, I LOVE planning out a route on the website and transferring it to the watch; it’s one of the few features I think are advanced about Movescount. 2. Updates may be forthcoming for Movescount, and even the device. (I hope). 3. I have always used a spreadsheet for comparisons between runs, and can use Strava to help with that. I have NOT been able to get MapMyRun to work, but I never used that much anyway. I know a lot of people visiting here are geared toward the triathlon (which I’d like to do when I can learn to freakin swim) but I do completely recommend this for ultra runners and trail runners, (who are often slightly less data-driven anyway) and recommend it with a disclaimer about the website to road runners. I think it’s all in what you’re going to use it for. Hey guys, how legit is this website? Valid question seeing that there are a few out there that’s a big scam. I just ordered the 2S as compensation for finding out that my fall marathon was cancelled due to the shutdown. I was bummed but now I’m pretty excited. I’ve eariler in April bought the Timex Run Trainer 2 after reading Ray’s very detailed review. Today, barely 6 months later, I pulled the trigger on the Ambit 2 again. Thanks for Ray for this fantastic deal (I made sure I bought it via the link above). Indeed, as Ted noted the late-August update should fix that issue. Dave, FYI – if you want to verify your version on the watch you can press and hold both the Back/Lap and Start/Stop buttons (top two buttons) for 11 seconds to enter the service menu and then choose info to see the version on your watch. 1.5.14 is the latest version available right now. Thanks guys, after reinstalling everything I was able to force upgrade and now have verified I have 1.5.14… hopefully all my issues are behind me now. Thanks for the great info as always here, glad I could support your site Ray. Not sure if you still check this, but… I updated the firmware and it solved my issues, I was able to go 3 days without re-installing. Sadly, I now have a different problem and nothing seems to fix it. Moveslink2 simply crashes when it starts up and nothing seems to change that. Reinstall, etc… nope. I tried on another PC… got through a few days and then same thing happened…. is this just me? Really frustrating! Emailed Suunto, haven’t heard yet, but I assume that is because it’s the other side of the world at the moment. That said, I haven’t heard of it. You may want to post over on the Suunto Ambit 2 Review post, as a number of folks that have seen (and fixed) problems watch that thread and receive comment notifications. Again, I haven’t heard of this particular crashing issues (software-related) to the best of my memory. this offer is for US residents only, right? Would be great to see something similar for Europeans, any chances? tried to order on 10/9 11pm eastern and they would not give me the listed sale price on the Suunto Ambit2. Hmm, strange. No worries, I have your e-mail and we’ll get you taken care of. I had a good try aswell from 11:30-11:59pm eastern with no luck. Don’t buy much off the net but this was the perfect deal. 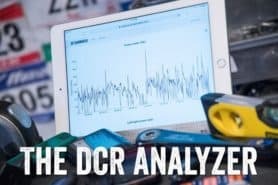 Let us know how you go with DCR’s help. I am being impatient but did anyone else order last week? I ordered on Wednesday, 10/09 at 9am. I received a confirmation email immediately but nothing since. Credit card was charged on 10/09/13. Order status online lists not shipped. Has anyone received their order yet? Clever Training just got in another large batch of Sapphires (what you ordered) today, and then another large batch coming later this week (that should cover everything from the sale). At the time of order, it showed those as being 7-10 days due to a bit more demand than expected. Thanks for the support – you should have it here shortly! Thanks Ray. They emailed an update right after I posted. I ordered the 2S White. I know I am being impatient, just pumped to start using it. Oops, sorry, they just e-mailed me as well – that’s the only other model that they’re waiting on Suunto from (merely because it was just announced the week prior). Those should be there this week as well. Just received my 2S White – it’s charging now. Thanks Ray for all of your help and expertise! Seems like Clever is not responding to my emails. Ordered on 8 Oct, so its been 9days but no update or shipping confirmation. During purchase, it says stock available and will ship 1 business day? Just got my Ambit 2S, ordered through the sale. Just want to say thanks for the heads up. I ordered it from the Philippines, so it took a while. Yes, you can create the fake T1/T2. I outline this process a bit in my full Ambit 2/2s In-Depth Review. Cheers! It is indeed bigger, especially bigger than the FR620. However, the FR620 doesn’t have either a cycling or swimming mode. If you go with the 2s it’s a bit ligher than the 2, so that will help a bit. I struggled as well but ended up buying the Ambit 2S White with HR for $335 from CT during the special sale. I’ve only had it a few days and have a lot to learn! I mostly run but intend to add cycling (and possibly swimming) so the 2S was the better choice. While it is large, I don’t mind it (especially when running and trying to read the display). I’ve worn it all day for 3 days now and it fits well. My wrist measures about 2 inches across (where the watch face sits). I ordered the Ambit2 during the sales at CT and received it yesterday – took a while to Singapore.. So far I paired it with a brand new Viiiiva HR strap and a Garmin foot pod (much smaller and less expansive) – thanks Ray for the advice by the way! That HR belt is great and I’ll try soon on my iPhone. I switched from a Polar RCX5; it’s more bulky but I do not need to wear the external GPS device; buttons are much easier to press and the overall look is great. Once I try it I’ll post more details. Hi Ray, I want to buy a Suunto Quest, because I want a watch only for running and I love Suunto watches, but I want to know first why dont you have a Suunto Quest review? That realy makes me feel that maybe its not as good as other watches for running. Please give me your opinion of the Suunto Quest or tell me why you dont reviewed it. Thanki you very much!!! 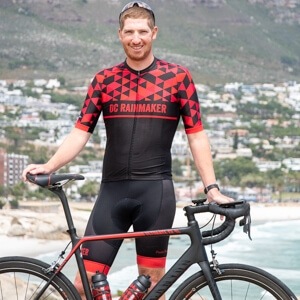 Lorena, Ray’s site is more geared toward Triathlon, so a watch that ONLY does running is of no use to him, or many of the readers of this site. Us runners are just lucky that some of our watches get Ray’s thorough treatment… I haven’t seen these kinds of reviews anywhere else, about anything. Oddly enough, I do actually have a Quest I picked up a few years ago. But, I don’t really have any plans to review it. Ultimately I believe the unit is overpriced for the functionality it provides, and, given the separate GPS pod, it seems a bit cumbersome compared to most units on the market (Suunto or otherwise). Like your reviews, very informative and gives great input on buying decisions. However can I get your recommendation on which watch to buy? I am a runner and practicing interval training, a model called 10-20-30, and I am considerring buying the Garmin fr610 or the Suunto Ambit 2s. For running only, or at least primarily running, which of these two would you choose? I need to be able to program the intervals or create apps. I just bought this and want to love it but cannot get the moveslink software to install. I am running Windows 7 and the download is fine, but immediately upon launching the app (before it comes up) I get the “moveslink has stopped working, windows is checking for a solution to the problem” message. Anyone else encounter that and have a way around it? (PS – I ordered through your clevertraining link… thanks for making that available). You can’t. The Ambit 2/2s doesn’t support a workout-style mode. You can use intervals, but I’m pretty sure it will still continue even upon completion. Many thanks for yuor help. is there a lap alarm function or is it just lap recording ? tx! Is the altimeter in ambit2 able to measure the depth in water? It is nowhere written,but when it is water resistant till 100m,they are suitable for diving as well. I know there are special models for diving,but i dont need full diving computer, for me is enough just to know the depth and time spent in water. Model CORE has in features as depthmeter,so not sure how ambit2. No, no depth meter. Sorry! I am getting ready to buy the Ambit 2S, is the white color the only option with a smaller band for women? Also will the white band actually stay white? Just curious as I am going to put that watch through its paces. Any advice you have would be appreciated. As for the band staying white, time will tell – but most of the major companies are pretty good at making white bands that stay white. I am a road cyclist and personal trainer. I had been using an old polar 625x for gym training and mainly stop watch. I have a garmin 500 on my bikes. My polar died a few days ago and I am looking to replace it. I’m stuck between the garmin 620 and suunto ambit 2. I keep coming back to the ambit but the 620 sounds like a great watch too. As an everyday watch, gym usage, bike rider (which doesn’t mean I’ll be using the bike features on the watch if I have a garmin 500) be better off with the garmin or suunto. And am I wrong to think the 620 is better for dedicated runners than what I mentioned above. I guess I want to buy a watch once and hope it does everything and reliable. Correct, the FR620 is a runners watch and doesn’t have a pure cycling mode on it. 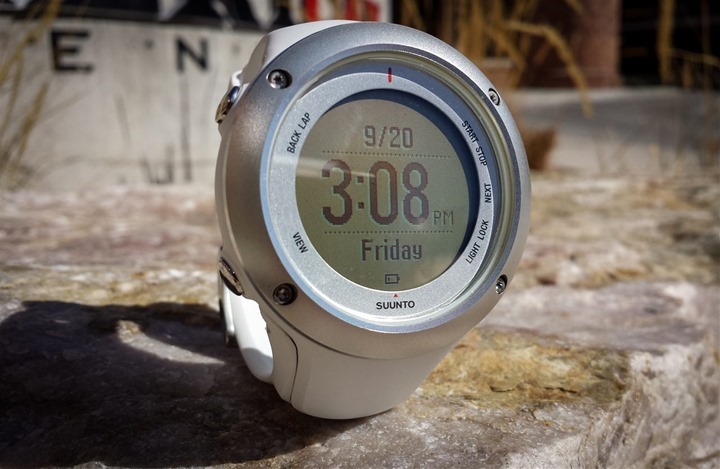 I’d look at the Suunto Ambit 2s as a good option actually for what you’re looking for. I’m going to go ahead and close this particular post to new comments since these deals are done. 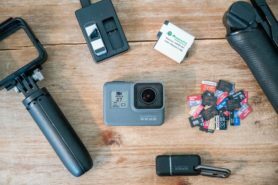 If you’re looking for advice on which device to choose, check out the 2013 Gadget Recommendations (comments open there), or, also just look at the comments on any of the given products.